Make the most of your garden space by entertaining your friends and family in style. The Rebecca Table is the perfect accessory with its sturdy design and natural finish. 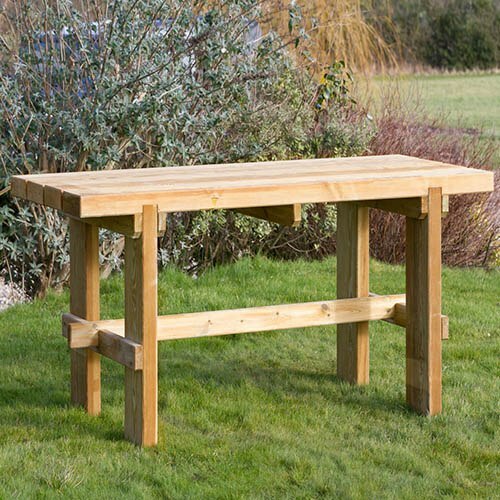 Produced from solid, chunky timber this table will enhance any garden or patio space, while standing out throughout the year. Complement the Rebecca Table with the additional Rebecca Bench to become a beautiful garden furniture set. Dimensions: 1.80m x 0.72m x 0.75m, assembly required - This product is 1-person assembly.